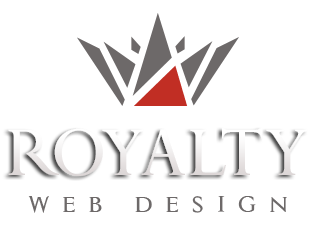 Royalty Webdesign is a professional web design company in Europe and has an impressive portfolio in developing online stores, creating and implementing eshop websites with online credit card payment, createing web pages such as portals, social networking, web directories, web online classifieds sites, online chats, blogs, forums. An online store allows you to enter items into categories and subcategories for sale, to issue proforma invoices, online bills, make online card payments through paypal, ePayment, etc, manage orders placed, to track various stock and sales reports ,to see top selling products, top customers, send SMS alerts, track the various product stock, correlate the eshop to the current accounting programs etc.. A eshop system allows multi-level-marketing where users can shop on levels and receive a percentage from the sales people located on a lower level made. Royalty will be available for creating online store with the best prices and the best quality-price ratio. If you want a really professional website, do not hesitate to ask for a price quote. A high standart and complex reservation website has different functionalities depending on the activity. So if the portal is dedicated to Travel agencies it will be able to create an account to introduce and promote their tour packages. If the portal is dedicated to real estate listings, automotive, transport etc companies can introduce ads, offers, products, image gallery, contacts etc.. The basic function of a website is to allow users to view / buy/ order products and services from different companies, to conduct an objective selection. Companies that register to post products and services may be charged monthly / yearly by the purchaser by paying online with credit card. A portal may contain information like: weather, calendar, currency, newsletter, rss etc. Royatly creates social networking websites, web directories, blogs and forums, news websites, newspaper complex web applications etc..